The Commonwealth Legal Education Association (CLEA) organises the biannual CLEA Moot Court Competition in which universities from the Commonwealth nations compete for the erstwhile Turnbull Shield and now generally referred to as the Commonwealth Shield. 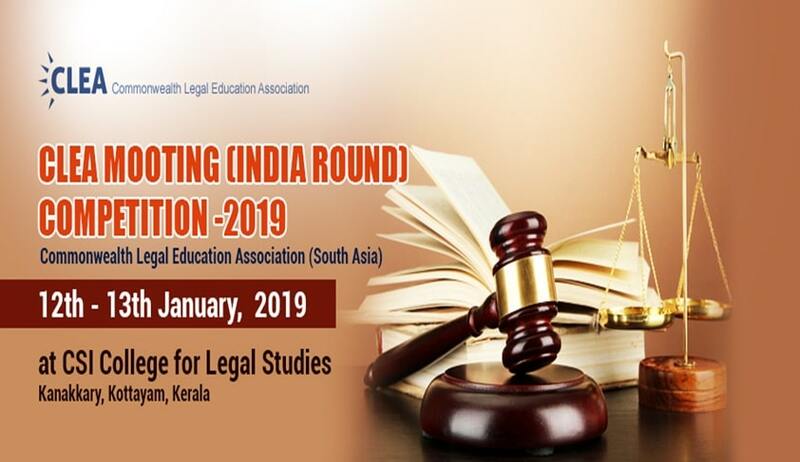 For the year 2019, the national rounds for India will be conducted by the CSI College for Legal Studies, Kanakkary, Kottayam, in Kerala. The winning team of the national round will represent India in the Commonwealth Moot, i.e., the sixteenth Commonwealth Moot-2019 to be held in conjunction with the 21st Commonwealth Law Conference in Zambia in April 2019. The Rules and Registration Form can be accessed here. The Moot Problem can be accessed here.